I collaborated with Timothy Siragusa to make a double sided flipbook. 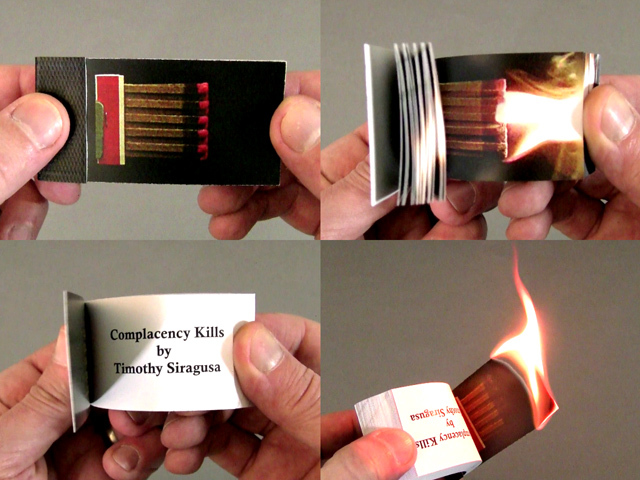 Fire animation on one side and "Complacency Kills" a short story by Timothy Siragusa on the other side. I also burn the last page of every book so that they smell like smoke. 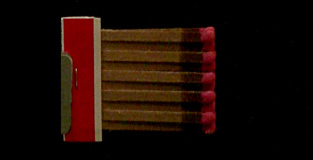 This 50 page flipbook is printed on 32 pound paper and bound with heavy duty staples. All of my flipbooks are signed and dated.